First signs of Spring in the Public Garden. Great to see. The spring in my area has gone into hiding. Goo saturation. I love that view of the bridge. I love those trees- weeping willows? So pretty mixed with the pink ones. 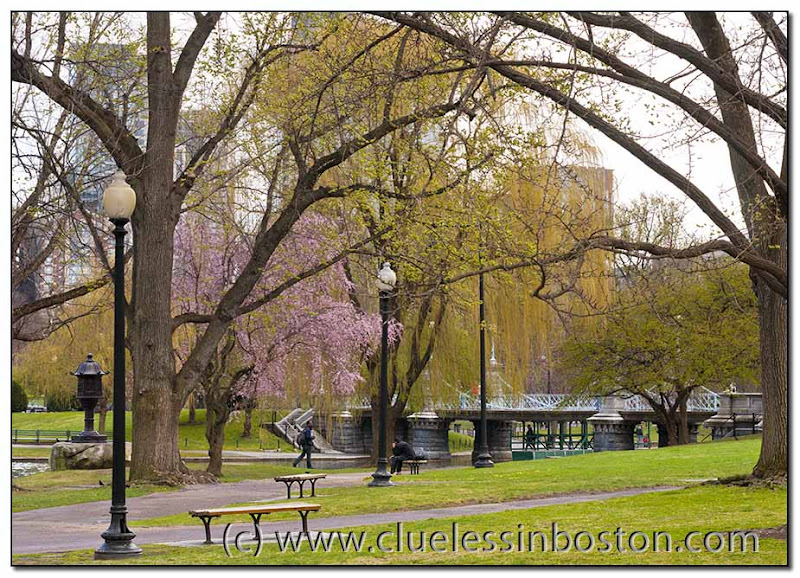 Good to see the spring in the Public Garden. Somewhere close there is a crew working feverishly to get the swan boats ready.